The NRD connector allows 'daisy chain connections' or 'through connections'. With these simple connections, many signals can be bussed to many different PC boards. 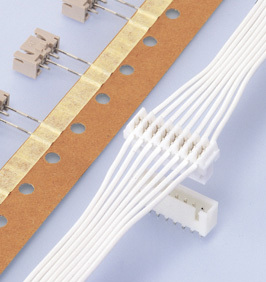 *The same shrouded header can be used for the XH crimp style connector, the NR and the BR insulation displacement connectors, and the JQ board-to-board connector.